HangerMate Anchor For 3/8-16 rod, 5/16x2-1/4 Inch - Horizontal Mount. Our line of Erico® Electrical and Datacomm Fasteners are perfect for those big contractors running thousands of feet of cable. Or someone just doing a few home improvements. Whoever you are, Erico® Electrical and Datacomm Fasteners are the right choice for you. 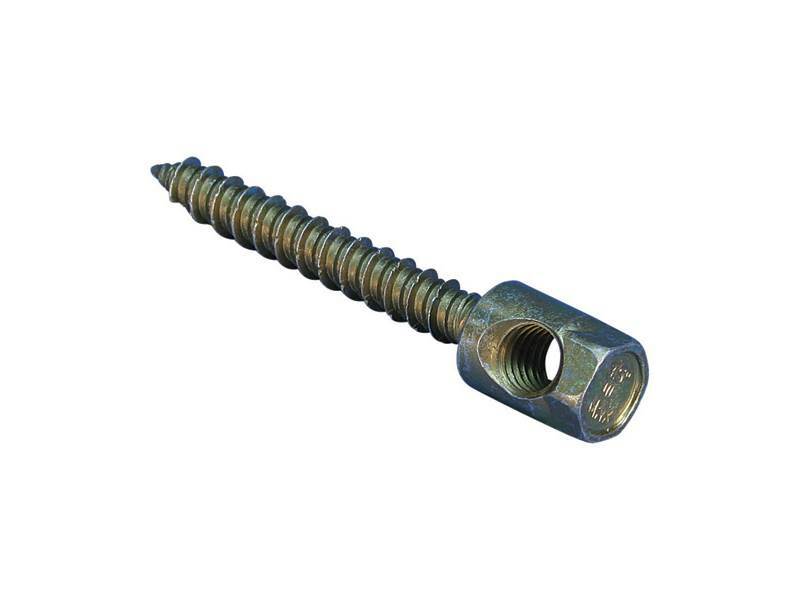 The HangerMate® threaded rod anchoring system provides easy side-mounted installation of 3/8-16 or 1/4-20 threaded rod in wood, steel, and concrete. The anchors can be installed with a standard drill eliminating the need for elaborate powder-actuated tool systems. Only the concrete application requires a pre-drilled hole. The drive sleeve conveniently fits over the drill bit to minimize handling and installation time. Ideal for steel, wood, and concrete applications where threaded rod needs to be installed.